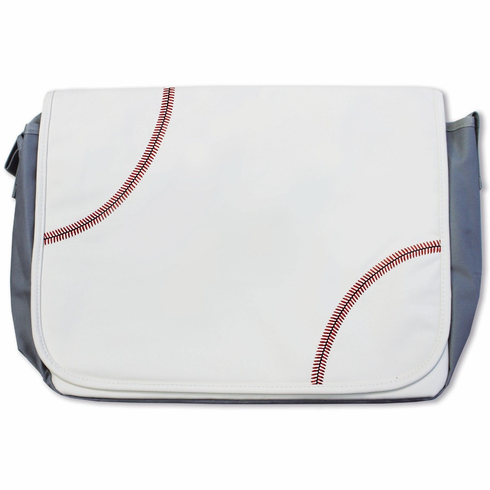 This baseball messenger bag is perfect for any baseball fan or player...young or old! The baseball material is durable, puncture resistant, and virtually water proof! In addition, this unique baseball design has red lace stitching on the front flap! Perfect for players, coaches, students, spectators � carry it on a plane; take it to school or the office! Made with authentic baseball material - a really high quality synthetic leather that is durable and soft...very realistic looking and feeling. This baseball messenger bag measures appx. 17" x 12" x 3".